Whole Foods exec John Mackey once called Amazon’s grocery delivery business the online retailer’s Waterloo. But Mackey may have underestimated the flexibility and commitment of Amazon and its headstrong founder and CEO, Jeff Bezos. Two years ago, speaking at a conference table at his offices in Austin, Texas, Whole Foods Market founder and then co-Chief Executive Officer John Mackey predicted imminent doom for rival Amazon.com in the fiercely competitive grocery business. Mackey got one thing right: Years ago Amazon realized that the supply chain it pioneered for books, electronics and other hardgoods wasn’t suitable for perishable foods and doesn’t satisfy customers who want to pick their fruits and vegetables by hand rather than poring over pages in a web browser. Over the last decade, the Amazon Fresh delivery service, which drops big green totes of supermarket items on people’s doorsteps, has been one of the online retailer’s rare disappointments. But Mackey may have underestimated the flexibility and commitment of Amazon and its own headstrong founder and CEO, Jeff Bezos. 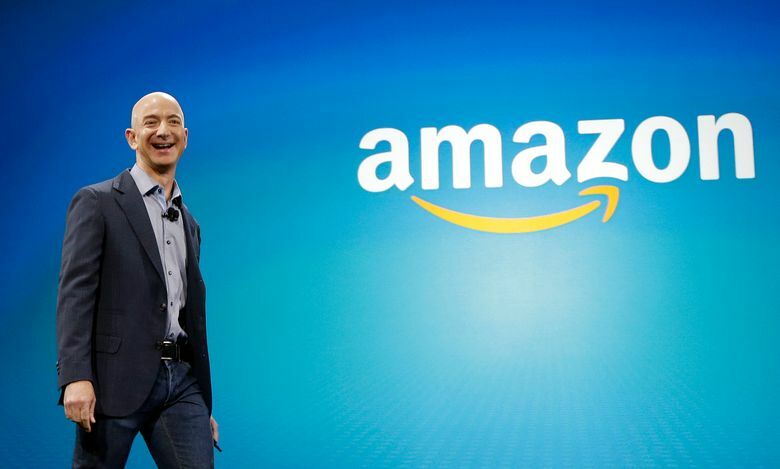 On Friday, Amazon agreed to buy the iconic, 39-year-old grocer, paying around $13.7 billion. Amazon workers love Seattle’s Whole Foods. Here's what they're saying about the news. The deal is stunning many of Amazon’s closest observers and then, upon a moment’s reflection, finding a comfortable place in their understanding of the limitless ambitions and wily determination of Bezos, the world’s second-wealthiest man. In a sense, the surprising deal is preordained by his mission to construct the everything store: A company that delivers everything to everyone, at the best possible price and within the shortest amount of time. 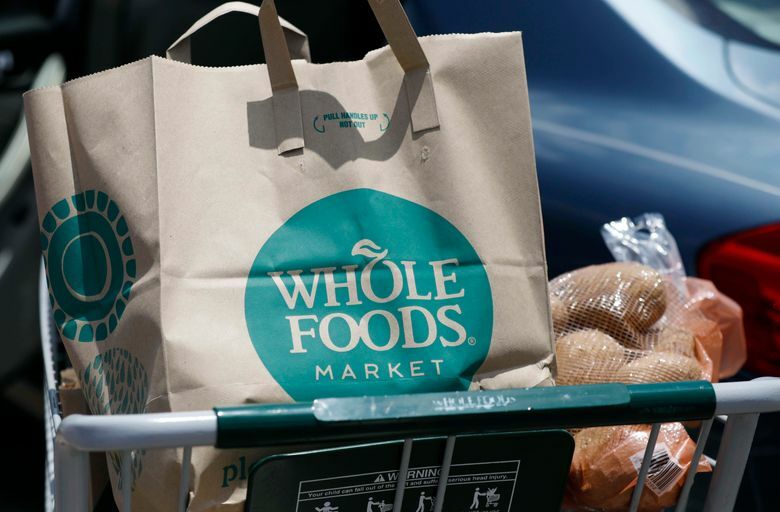 Viewed over the long arc of Amazon history, Whole Foods seems like an unlikely fit. It has more than 460 stores in the U.S., U.K. and Canada, with leases to manage, windows to be washed, and employees who show up early to sweep the floor. In the past, physical retail and all of its associated complications have seemed anathema to Bezos — expensive, inflexible obligations whose costs are difficult to defray by advances of technology. But for Bezos, wounded assets in important or growing business categories aren’t challenges to be avoided. They are puzzles to be solved. Grocery is an $800 billion market in the U.S., still largely untouched by the internet and resistant to change. Whole Foods itself has a well-established brand and high-income demographic that maps well to Amazon’s own customer base, and in particular its Amazon Prime subscription service, with an estimated 80 million members. Over the last few years, Amazon has been quietly laying the groundwork to take over such a physical retail chain. In Seattle it is testing grocery pickup locations where customers order online and then drive through to collect their totes under a protective canopy. Near its headquarters it’s also testing its Amazon Go store, that sells prepackaged meals and functions without cashiers, sensing which items customers pluck from the shelves and then charging their online accounts. The curious Amazon Books stores — in cities like New York, Chicago and Los Angeles, as well as Seattle — take a different approach to payments, using bar codes on products and on Amazon’s smartphone app to cut down the time customers spend with cashiers. All of these technologies can now be slowly integrated into Whole Foods stores to reduce head count, increase profit margins and improve the chain’s relationship with customers. Then there’s Amazon Restaurants service, which currently delivers prepared meals in a few cities to the homes of Prime members. Meals are 20 percent of Whole Foods business; Amazon can take its sushi, tacos and sandwiches and expedite delivery to people’s doorsteps. It’s a longer-term opportunity that can help Amazon peel away customers from rivals like Wal-Mart and Uber, with its Uber Eats service. Now Bezos has officially marked this new target — food — and placed the sizable bet on Whole Foods and physical retail to capture it. It’s a measure of the extraordinary confidence he has cultivated from investors that on the day he announced the acquisition, Amazon’s market capitalization increased by more than $30 billion — more than double the amount it is paying. Amazon may be keeping John Mackey on as CEO of Whole Foods, but Wall Street is counting on Bezos to turn his biggest deal ever into a tasty meal.